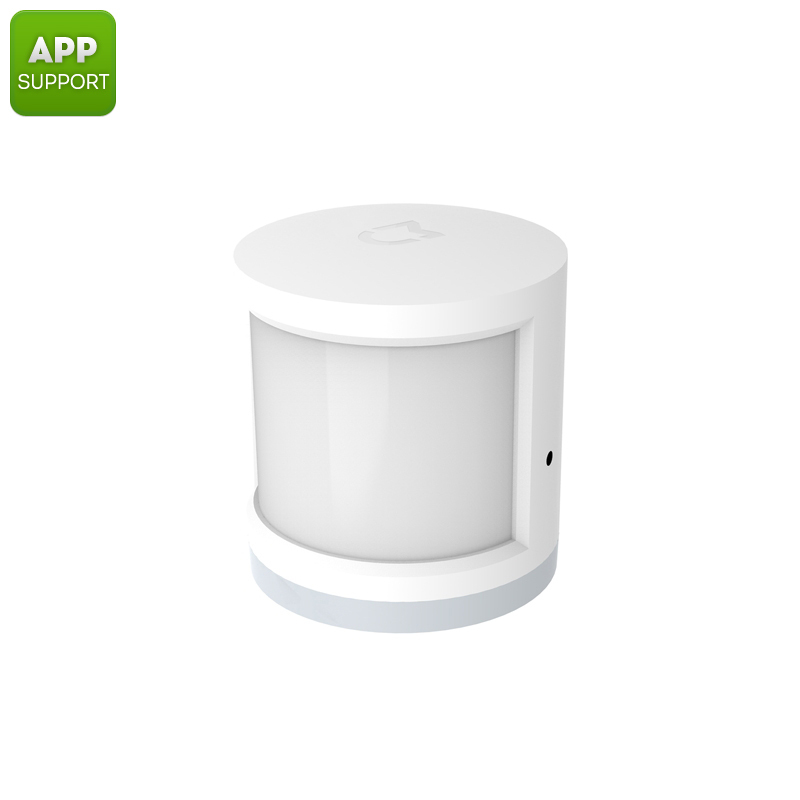 Successfully Added Xiaomi Motion Sensor - App Control, Compatible With Xiaomi Multifunctional Gate Way, Inside And Outside Usage to your Shopping Cart. This (passive infrared Sensor ) PIR Sensor from Xiaomi is the perfect electronic gadget to create the ultimate smart home environment. Capable of detecting movement and human presence, this human motions sensor can be used to efficiently control all your electronics at home. Simply pair it with your Xiaomi Multifunctional Gateway to connect this sensor to all your other Smart Home electronics. Compatible with the majority of electronics out there, this motion sensor is, for instance, capable of turning off your television or shutting down the air-conditioning whenever nobody is around – supporting you to save energy without you needing to lift a finger. Built for both inside and outside usage, this PIR motion sensor can furthermore be paired with your outside lighting, enabling them to light up whenever somebody passes your property. Allowing you to use it with the Mi Smart Home mobile Application, the Xiaomi PIR sensor can be accessed and controlled from afar. This motion detection sensor truly comes with an abundance of useful applications, making it the perfect asset to any modern household and office out there while supporting you to create that smart home environment that you’ve always dreamt off. The Xiaomi motion sensor comes with a 12 months warranty, brought to you by the leader in electronic devices as well as wholesale electronic gadgets..
Arabic: - جهاز استشعار الحركة - Chinese Simplified: - 运动传感器 - Czech: - Snímač pohybu - Danish: - Bevægelsesføleren - Dutch: - Bewegingssensor - French: - Détecteur de mouvement - German: - Bewegungs-Sensor - Hebrew: - חיישן תנועה - Hindi: - मोशन सेंसर - Italian: - Sensore di movimento - Japanese: - モーション センサー - Korean: - 모션 센서 - Malay: - Pengesan pergerakan - Norwegian Bokmål: - Bevegelsessensor - Romanian: - Senzor de mișcare - Russian: - Датчик движения - Spanish: - Sensor de movimiento - Thai: - เซ็นเซอร์ภาพเคลื่อนไหว - Turkish: - Hareket sensörü - Vietnamese: - Cảm biến chuyển động.